Picking a monitor for your gaming needs has gotten a bit more complicated as time has passed. Today you have a lot to consider; Panel type, response time, refresh rate and whether it’s variable or not. This is the Nixeus VUE24A, a 24″ 144hz freesync monitor that aims right at the average gamer with it’s sub $300 price tag. A Full HD 1920×1080 TN Panel that ticks all the right boxes with it’s 1ms response time and it’s 144hz refresh rate making it ideal for gamers. On top of it’s 144hz refresh rate it also boasts one of the widest Freesync ranges from the low 30hz to the full 144hz range giving it the ability to take advantage of Low Framerate Compensation that AMD injected into their Radeon Software Crimson Edition. 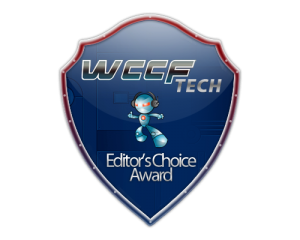 Check out our video review below to find out why we gave the Nixeus VUE24A our Editors Choice Award. Excellent gaming monitor that looks at home anywhere. Even when not using Freesync the monitor still delivers a great gaming experience with it's 144hz refresh rate. Still a TN panel so suffers from color shift. A bit of a premium over the 'B' variant with only a base change.